There are fewer things that get me into the fall spirit come mid to late September, more than traipsing down the aisles at Trader Joe’s. 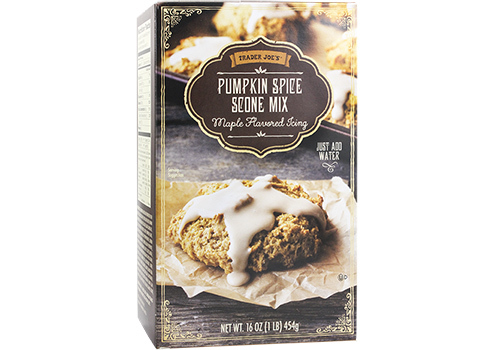 The unofficial home of all things autumnal, yummy, and festive, it’s no surprise that each year Trader Joe’s strives to put out delicious, new pumpkin products to tickle our fall fancies. In fact, waiting for their new pumpkin products with the changing season has almost become as natural as waiting for the leaves to turn colors, and this year is no different. Though, they may have truly outdone themselves this time. Their fresh, seasonal treats will appeal greatly to both your taste buds and your seasonal sensibility. To put it plainly, Trader Joe’s new pumpkin items are mouth watering enough by virtue of their name alone, and you absolutely have to try them. Besides, whether you’re looking for something pumpkin flavored or simply pumpkin shaped, they’ve got you covered. Peep the pumpkin additions and makes sure you don’t drool all over your keyboard. Water damage is expensive. Not only are they positively adorable to look at (the little pumpkin stems! ), they deliver a dash of pumpkin spice for when you’re feigning but don’t want to have to go the caffeine route to get your fix. 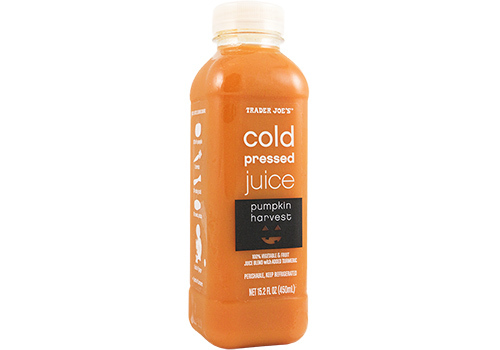 While cold pressed juice may not be for everyone, I’d be hard pressed (see what I did there?) to find anything pumpkin flavored at all that isn’t at least slightly delicious. Plus, this drink is so pretty it’s kind of hard to turn away from it. This is for when you want to take the initiative to make your own fall treat. It looks daunting, but man, does it also look good. 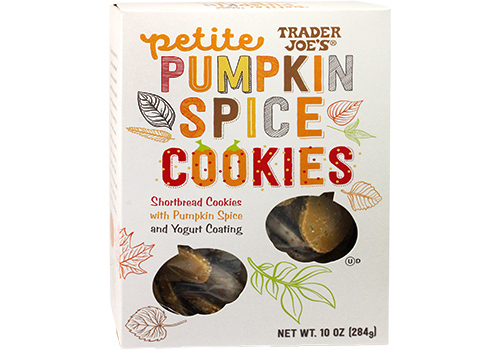 Trader Joe’s also told us to expect pumpkin-shaped sugar cookies soon, as well — which, like, YES PLEASE. And that’s not all — the grocery store chain says they’ll be rolling out even MORE pumpkin goodies next month! Ahem, your empty shopping cart and stomach waiting, you pumpkin lover, you.